I love buffet, and I hate buffets. Love it for the variety, the opportunity to savour everything, but hate it for making me larger than usual, and the ugly mad rush to the buffet table. That’s why I kind of like the ala carte buffet concept where food is served to you. 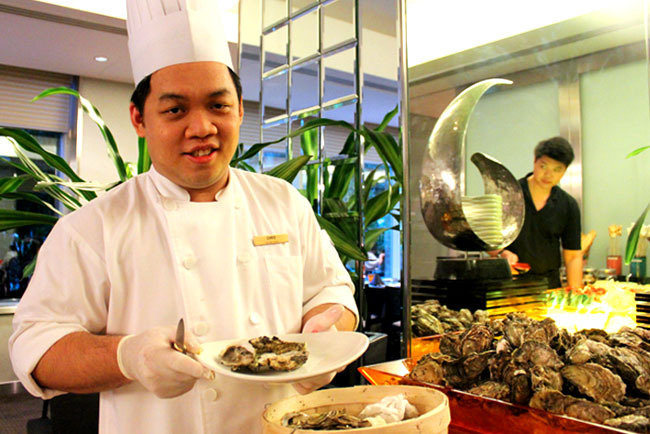 10 at Claymore at Pan Pacific Orchard has the best of both world with its ‘Plates of Pleasure’ semi-buffet repertoire where you can enjoy international fare AND have food served to you where you order off the menu. And we are talking about premium beef from down under Australia here. Unlimited. 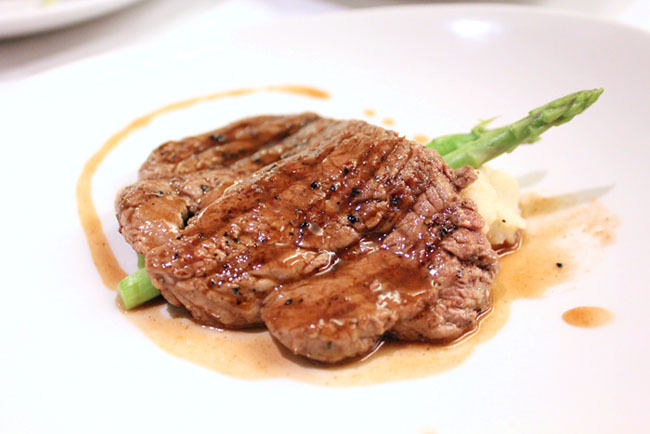 How about some Gippsland Organic Angus Beef Tenderloin, Teppan-style Angus Beef Rib-Eye, and Slow Roasted Angus Beef Striploin? 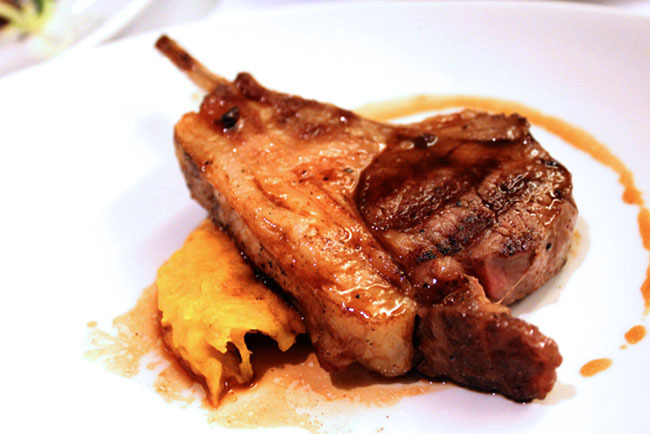 Or Grilled Lamb T-Bone and Braised Kurobuta Pork Belly, all served à la minute in elegantly plated tasting size portions. I emphasize again, this is unlimited. So you can have plates and plates of tenderloin to your beef’s content, or till the cows come home. But I actually suggest you to slowly savour bite by bite, because there is still a certain quality to the meats, not the usual buffet mass-cooked style. 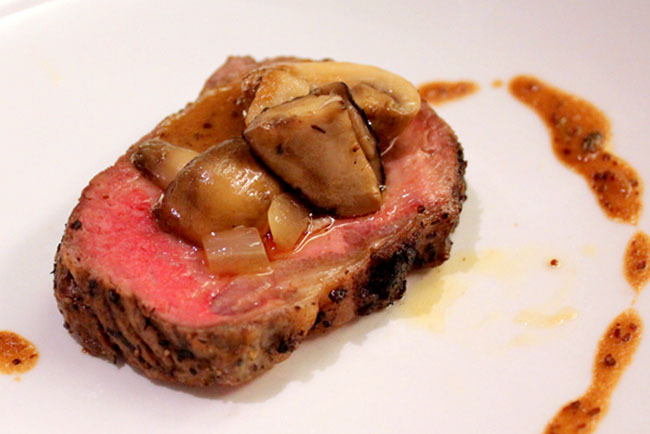 The Beef Tenderloin cooked medium-well, with a slight hint of pink, is cooked from organic free-range beef. And it was close to superb for being juicy, soft and tender – highly satisfying. 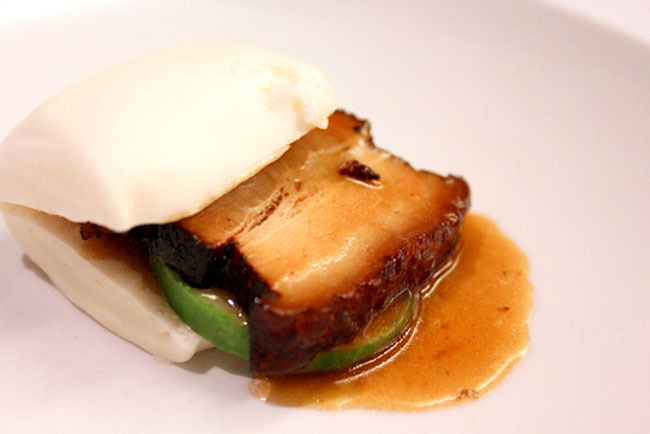 Something with an Asian twist is an 8-Hours Braised Kurobuta Belly, served smacked between steamed mantou, giving ‘kong bak pau’ a new high-class dimension. Did I mention that there is ALSO a buffet spread of hearty bistro favourites, live station specialties and divine desserts? People were piling Boston Lobsters and Freshly Shucked Oysters from France, Ireland and the USA like nobody’s business. 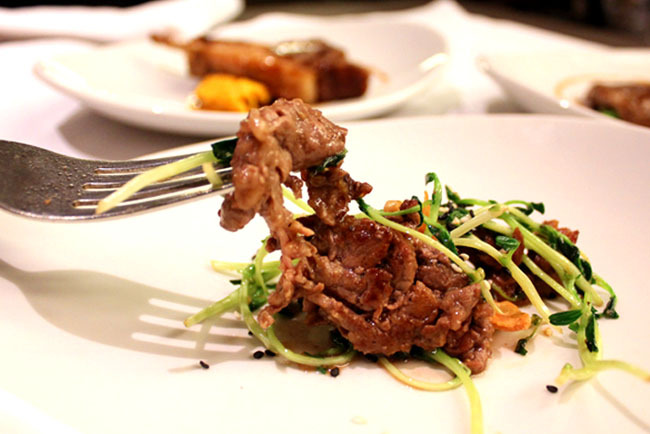 The ‘Pleasure of Oz’ Australian-theme buffet promotion is available from 4 June 2012 until 31 July 2012 with prices at S$55++ (dinner) and S$58++ (Sunday brunch). We got another review for 10 at Claymore. Big thank you to Daniel’s Food Diary! super value for money! only $55.